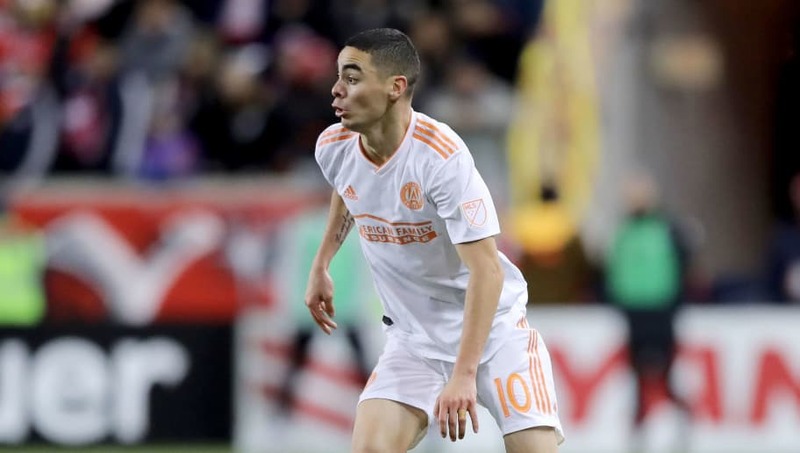 ​Newcastle have reportedly finally agreed terms with Atlanta United over the transfer of Miguel Almiron. Rafa Benitez had set the MLS star as one of his top transfer targets, after Almiron's stunning form for Atlanta in their inaugural triumph in the MLS Cup after just two competitive seasons. According to a local publication ​AJC, the Magpies have now agreed terms with the club over a move for the Paraguay international, after ongoing negotiations throughout January. The American side were initially hoping to hold out for upwards £20m, with the ​Premier League outfit evaluating the player at somewhere closer to £15m. As of yet, the figure that they eventually arrived at is unknown, although the 24-year-old is expected to land in Tyneside on Tuesday evening, ahead of his medical. Though the American side declined to comment on these reports, "citing its policy of not responding to reports involving personnel", they have made it publicly clear previously that they were considering the sale of one of their star players ahead of the 2019 season. This was enforced upon them by the MLS' ruling that a team can only have three designated players within their squad, meaning only three players can earn more than $540,000-a-year.  @specsgonzalez is DONE with Arsenal and wants to change team! Benitez has been increasingly frustrated by ​Newcastle's business this winter, and it was even reported that he would quit this summer if certain additions were not made to his squad this January. However, the acquisition of Almiron should help assuage this anger, with the Paraguayan's creative exploits certain to lift the spirits of a side in desperate need of goals. The attacking midfielder has 22 goals and 21 assists in two seasons for Atlanta.